August 3 , by Mardi Robyn. Not only am I loving the back drop for the bracelet, but I am loving the bracelet as well. 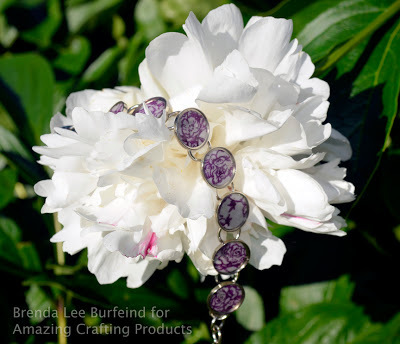 Brenda from Amazing Mold Putty shares with us a tutorial for creating a Stamped Resin Bracelet using Amazing Casting Resin. In this step-by-step tutorial you will learn how to stamp onto poured resin, punch holes to fit the bezels, and seal it with resin during the finishing touches. Check out the tutorial and learn how to make your own AMAZING Stamped Resin Bracelet.